The release comes after Adnan agreed to end a 56-day hunger strike last month in exchange for his freedom. In the last days of his strike, the activist was facing near death conditions. He was taken to an Israeli hospital after he agreed to end the strike. Adnan returned to his village of Arraba, near Jenin in the West Bank, where he was reportedly greeted to a hero's welcome. “I see the happiness among Palestinians flowing and the Palestinian pain and hope for the freedom of all prisoners, God willing,” he said, Al Jazeera reported. Adnan was one of several Palestinians arrested and held without charge, following the kidnap and murder of three Israelis in June 2014. The Israeli government had been facing increasing pressure from international rights groups, including the Red Cross, for Adnan's release. He has become a symbol for the Palestinian resistance. This was the tenth time he was detained without charge by the Israeli government, and his second hunger strike. In total, Adnan has spent six years in jail. Israel's “administrative detention” measure allows the government to detain and imprison any Palestinian citizen without charge or trial. The detentions last for 6 months each but can be extended. 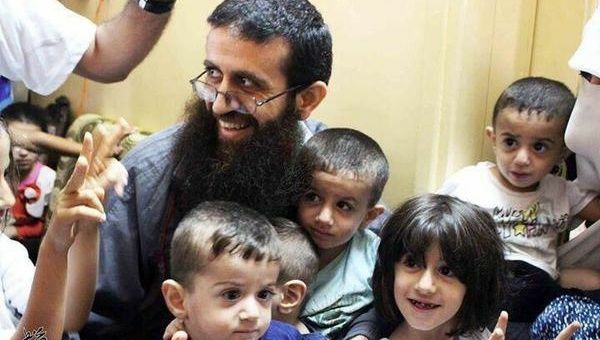 Israel accuses Adnan of being one of the leaders of Palestinian Islamic Jihad (PIJ), though Adnan said at the time of arrest that he is no longer a spokesperson for the group. Israeli authorities have not found evidence linking Adnan to any armed group. The PIJ reportedly warned Israeli officials that if Adnan died in prison, it would shatter the relative calm in Gaza. There are currently an estimated 426 Palestinians being held without charge by Israeli forces as “administrative detainees,” according to the Ramallah-based Addameer Prisoner Support Network. Israel abducted 1266 Palestinian children under the age of 15 in 2014, according to figures from Abdul-Nasser Ferwana, head of the Palestine Liberation Organisation's body responsible for prisoners' affairs, TeleSUR English reported in January.